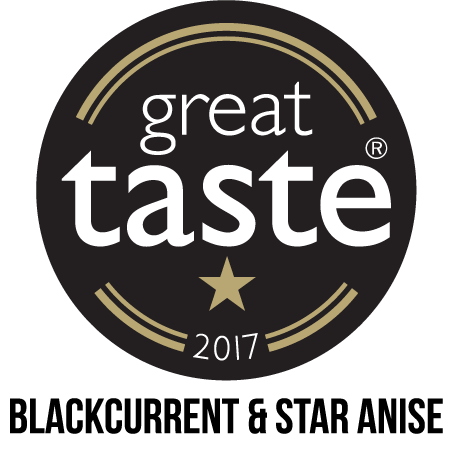 Hand made luxury chocolates using only the finest sustainable ingredients and bespoke recipes direct from our kitchen in Horwich by owners Christine and Chris. Our chocolates come in gold presentation boxes, if you would like further gift wrapping we will choose the best wrap for your present and carefully wrap it by hand, finishing with ribbon.We can personalise the tag with your own message and can send it directly to the address of your choice at your request. The basic charge for this is £3.50. In addition postal charges to each address would apply. 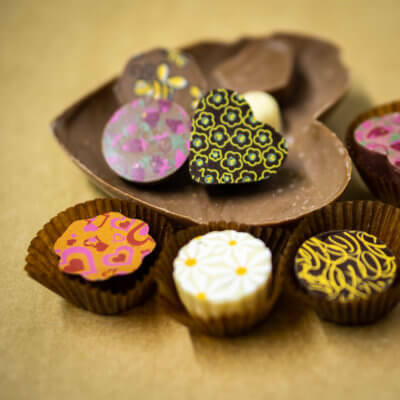 As all our chocolates are made fresh in small batches , orders will usually be posted for delivery on the day they are made or the next day, please call or email if you have any questions about this. Standard charges for delivery are with Royal Mail; 1st class £3.45 2nd class £2.95 Local orders can be collected by arrangement. Amazing chocolate, ten times nicer than hotel chocolates slabs and nicest salted caramel I’ve ever tried! 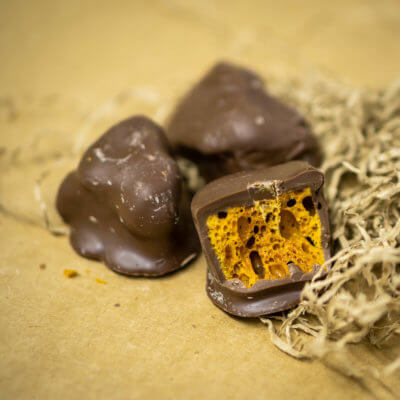 I bought a bag of the chocolate honeycomb at Chorley Handmade Fair and it is absolutely delicious! The milk chocolate is so smooth. 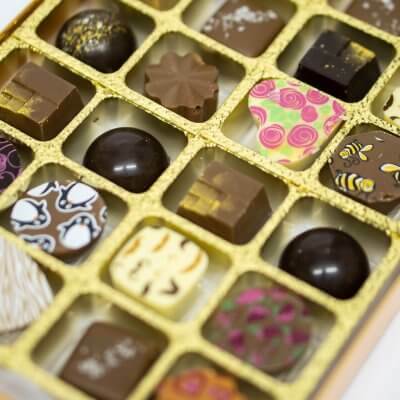 Really lovely chocolates, beautiful designs (some had little bees on them! and taste excellent, make a thoughtful gift to those with a sweet tooth! 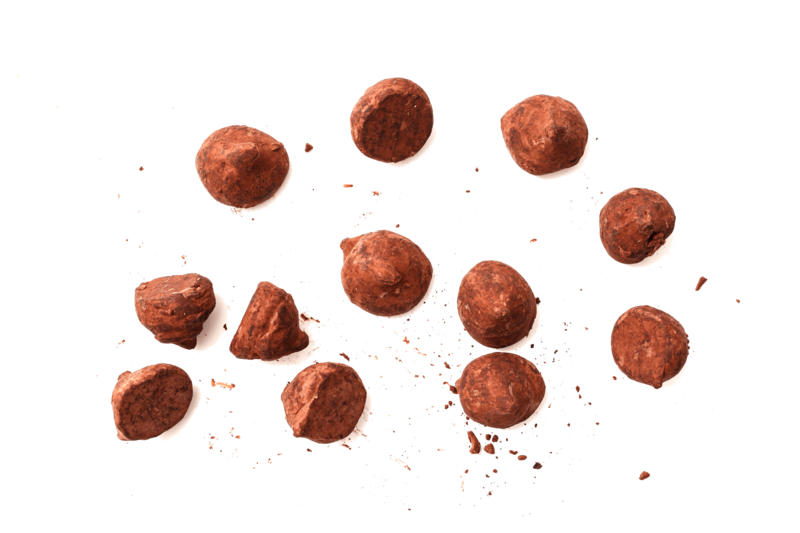 Get the Latest news from Rivington Chocolates! Join our newsletter.